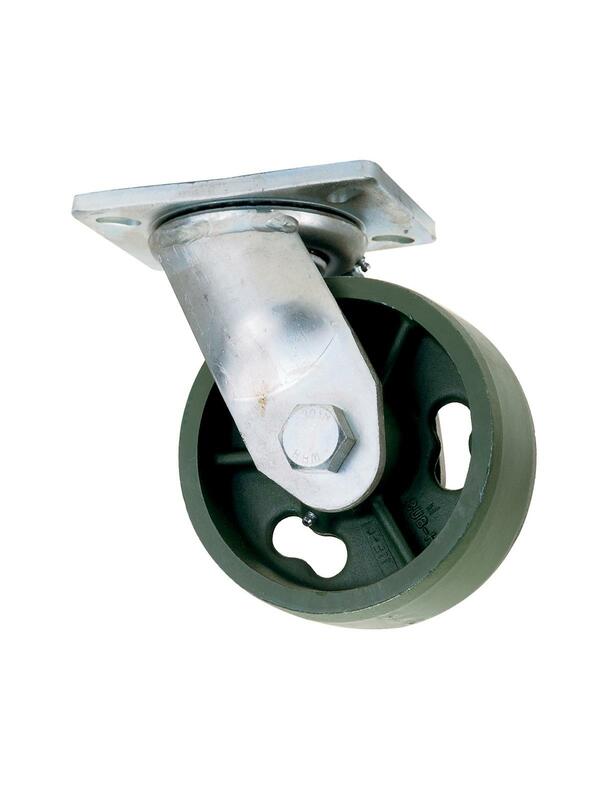 Keep your heavy loads rolling on this cold-forged steel construction caster. 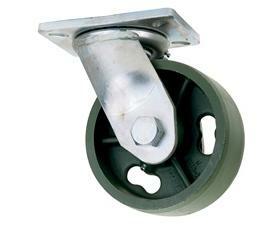 Hardened swivel raceways for extra durability. Top plate is 5/16" cold forged. Top plate measures 4-3/4" x 6-5/8", bolt hole is 2-7/16" x 4-15/16", slotted to 3-3/8" x 5-1/4". Features precise double ball bearings. 3/4" Kingpin. Roller bearing. Zinc plated. FOB Shipping Point. PLEXITE - Phenolic, macerated canvas backing. BRONCO - Non-marking gray mold-on rubber, bonded to aluminum center. PAYTHANE - Urethane, bonded to a metal center.